We heard confirmation last week of rumors that scientists at Sun Yat-sen University in southern China were trying to change the DNA of freshly-fertilized human eggs. This “first” in science was greeted with horror, hand-wringing, and a storm of criticism. Why the fuss? They were testing a new technique in abnormal embryos donated to research by an in vitro lab. Their goal was to avoid a common, heritable disease by correcting a faulty gene. The target was the beta-globin gene because it codes for oxygen-carrying hemoglobin, but causes beta-thalassemia when it is mutated. Four per cent of people in south-east Asia have one or two copies of this mutation; over 55,000 affected babies are born with beta-thalassemia every year worldwide. Those babies die without monthly transfusions of matched blood or a bone marrow transplant, if they can get them. Curing this genetic scourge would be a big deal. First, it would break mutations from cycling through the generations of affected families, although treatment will never eliminate the sporadic risk of a fresh mutation. Second, a breakthrough could be a model for challenging other genetic diseases, especially when the fault is confined to a single locus. If this background sounds so positive and worthwhile, why is it excoriated instead of celebrated as a life-saving technology? The news was a déjá vu moment for me. While working in Edinburgh in the 1990s, I was seized by a controversy over ovarian transplants while colleagues who cloned Dolly the sheep across town were caught up in a media whirlwind. The language used to describe those efforts was the same as in current media reports and interviews, seasoned with bogey-words like Playing God, Dr. Frankenstein, Gattaca, eugenics, slippery slope, GM designer babies, genetically-engineered human race, etc. I presume the Chinese researchers were not motivated by those nightmares, but focused on the hope of curing a dreaded disease. There are, of course, plenty of examples where a discovery has had unintended consequences, including radioactivity and DNA itself. We are still juggling with their consequences, but few will deny the net benefits, and we can never turn the clock back to un-discover something that is abused. Admittedly, when genetically-modified (GM) humans are conceived in the future by so-called germline modification, biomedicine will cross a Rubicon because changes in the DNA of a fertilized egg are inherited by every cell in the body, including the gametes which pass the changes down to children and to children’s children. When that happens, our species will begin evolving on a self-determined path and bioethics will face its sternest moment. Meanwhile, a debate boils over a study that made such a small contribution to knowledge that it was rejected by two top journals. The media hype will no doubt rouse some hastily scrawled letters to Members of Congress urging them to stop mad scientists! Congress, of course, has no powers over foreign research and federal regulation of American labs (one at least is reportedly engaged in similar research) is highly unlikely because we still don’t have laws for regulating in vitro labs (although federal funds for human embryo research are banned). In hindsight, the uproar we experienced in the 1990s was wasted heat, because ovarian transplants now enable former cancer patients to conceive healthy babies naturally and the prospects of cloning human babies are still remote. The Chinese researchers have answered me using a new gene editing tool called CRISPR/Cas9, which was discovered as a defense against viral infections in bacteria. CRISPR/Cas9 is a molecular duplex consisting of a targeting and a cutting module, and this toolkit has been adapted for deleting or replacing short segments of DNA in mouse embryos, human cell cultures, and now human eggs. It works like a programmable search engine to locate a highly specific sequence of DNA letters in the genome for cutting out and splicing in new letters. It is remarkably precise and so simple to use that staff of in vitro labs have the training and apparatus to try it. That is a concern. Do we need this technology? A few years ago when I was a visiting professor at Sun Yat-sen University one of my Chinese associates was developing an alternative technology called preimplantation genetic diagnosis (P.G.D. ), which tests for genes for beta-thalassemia in embryo. This is now widely accepted by couples planning a family, and genetic modification has no place in it. P.G.D. was originally introduced for screening other mutations, when it was roundly condemned as the road to designer babies with superior brains, beauty, and brawn! 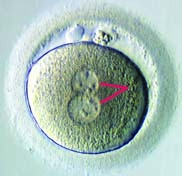 Some critics misunderstood the limitations of selecting for those kinds of desirable traits from the very small number of fertilized eggs available when couples undergo in vitro treatment. Here’s the rub—it’s great for those who can afford it because treatment is expensive, but unlikely to be more costly than when we can correct mutations in eggs. Far more exciting and much less controversial applications of CRISPR/Cas9 technology to gene therapy have been overlooked in the recent fuss. Bad news and horror stories grab most attention from the media. After years of disappointing trials and a few serious upsets, there are fresh prospects for gene therapy for a wide range of inherited diseases and cancer, and even for agriculture. There is no ethical impasse because future generations are not committed to a man-made genetic change since eggs or sperm in patients are unaffected by treatment, although P.G.D. will be needed to safeguard health of future children. With gene therapy for all ages and P.G.D. to break disease cycling through generations of families, the argument for germline modification is stretched. Nevertheless, true believers will endeavor to create a safe and effective technology for fertilized eggs, and, provided ethical standards are upheld, why shouldn’t they use discarded cells that can never create a human being? Besides, shouldn’t we admit that public attitudes and ethics shift, or wonder if future generations will mock us if we banned a field of basic research? 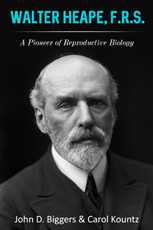 In mid-Victorian times, anesthesia was sometimes denied to women in labor for theological reasons, and only in recent years has in vitro fertilization become accepted as a standard treatment for infertility. Who can predict the brave new future for humanity, except that it will be very different to present? There will be more condemnation of the Chinese experiments. We will see hubris from a few scientists claiming a medical revolution is at stake, and perhaps some crazy doctors craving attention will make false claims that GM babies have already been born, as they once did about cloned babies. Such a furor discourages responsible researchers from entering the field and will possibly send others underground or overseas where regulations are less stringent. Until more people realize that this research is still in its early infancy and GM babies are unlikely in our time, the theatre will continue and bioethicists will enjoy full-employment. This entry was posted in Biomedical and tagged CRISPR, designer babies, eggs and embryos, eugenics, gene therapy, genetically modification, GM babies, In Vitro Fertilization, preimplantation genetic diagnosis, Sun Yat-sen University. Bookmark the permalink.